Disclosure: These are affiliate links for things we love. 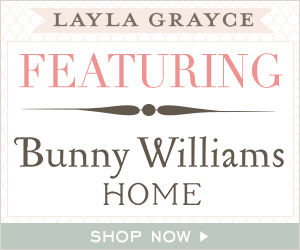 If you use the links to buy things, we will receive a small payment from the company. We will then use that money to buy more delicious ingredients to make more food and share it here. On a grill, it’s usually meats that take center stage. One of the reasons I wanted to get into grilling with this particular model was the ability to do a full meal at the grill – no more running inside and outside to keep up with a pan on the stove and a steak on the grill. (I’ve done it. It’s aerobic.) Here are some of the grilled sides I’ve been able to make at the same time. Clean, quarter, and oil mushrooms. Clean the mushrooms, remove stems, and quarter. 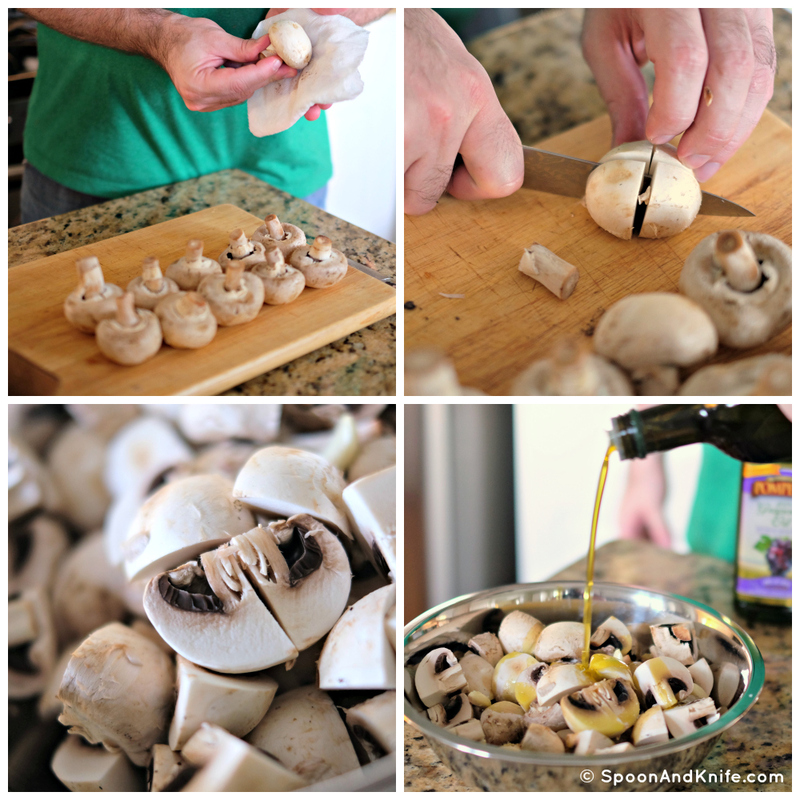 Toss the mushrooms in olive oil until well coated and season with salt. Preheat grill with vegetable tray insert. Lay mushrooms in a single layer in the vegetable tray and roast, stirring occasionally, until browned and tender. I do have to say, two things stuck out to me. One, it’s such an ingrained habit to be able to pick up a pan and toss the mushrooms – which isn’t really possible with the tray insert. (The insert handle that comes with the grill is great, but I didn’t want to risk it.) Two, olive oil is flammable. There were plenty of flames. Christine kept lowering the camera and saying “Umm…” with concern to the amount of smoke involved. No, the mushrooms didn’t taste burnt, but next time I might cook them with less direct heat and more indirect heat – lower the burners under the mushrooms and crank up the other side. 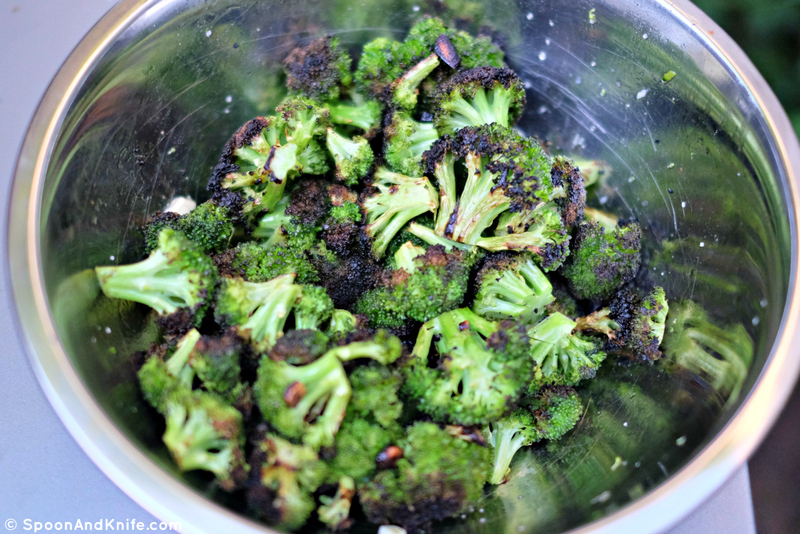 Toss the broccoli and garlic in enough oil to shine (not soaked) and season. Preheat grill with veggie tray insert. Lay broccoli in a single layer on the tray and cook, stirrring occasionally, until tender and browned. This was good, but goes a bit into “this is why we test recipes first” category, which is why I still want to include it now. I know how to roast broccoli, and by now I have a decent sense of how the grill cooks, but I haven’t really translated all my indoor tricks to the outdoor kitchen yet. Long story short, while I liked the broccoli well enough, Christine wasn’t yet a fan. Part of it is heat management – it went dark and lightly charred on the outside before it got completely tender. It was good, and had a bit of crunch. But the biggest issue was “torch taste”. Torch flavors are a side effect of any gas flame. The exact science has been written about elsewhere, but it has to do with the compounds that form when food and natural gas burn. It’s very distinctive. Personally, I don’t mind a little of it here and there. Christine found it inedible. If you’ve ever had gas grilled food that tasted like, well, gas? That’s torch taste. Similar to the mushrooms, the fix is to drop the direct heat on the broccoli. I had all four burners cranked on high to keep the temperature up with the lid closed, but that meant there was a LOT of direct heat on the broccoli in the pan. Lowering the flame under the broccoli would help it cook more evenly and without the torch taste char. Bear that in mind when you try this at home. Cooking – it’s a constant educational experience. Enjoy the journey! Poor Brussels Sprouts. They get such a bad rap as being one of the most hated vegetables out there. I won’t deny it, until I started eating a 4-Hour Body / Paleo style of diet, I thought I hated them too. Then Mike made these, and he turned my perception of them around with this recipe for Caramelized Brussels Sprouts. A member of the cabbage family, these beautiful little morsels are quite delicious! (Maybe because we cook ours with bacon?) The key is to not overcook them, as that will bring out the strong flavor in them. Brussels sprouts contain glucosinolates, which have a lot of health benefits, but also release lots of sulfur the longer they’re cooked. Take care when cooking your Brussels Sprouts and you will have a delicious dish that is full of nutrients and vitamins! Trim end of the sprouts and pull off tough/loose outer leaves, leaving a tight leaf ball with a bit of core to hold it together. Cut into halves or quarters, depending on if the sprouts are small or large. Cut bacon into pieces, place in pan, and cook over medium heat until the fat has cooked out and the bacon is crispy and dark golden brown. Remove the crispy bits and put them in a bowl to the side. Turn the heat up to high and add the sprouts to the pan. Ideally, the cut side should be down – this will draw out the moisture in the sprouts and help them to caramelize better. Even heating will help make sure you don’t overcook them and draw out that sulfur flavor. Leave them to cook for 2-3 minutes, then toss in the pan. Keep cooking, tossing occasionally, until they look well caramelized and become tender. (With larger sprouts, you might add a quarter cup of water to the hot pan to create some steam and help them get tender. Do this at the end.) Remove the sprouts from the pan to a bowl and set aside. Add the minced shallots to the pan and sautée them for a minute or two. Add 2-3 Tbsp of balsamic vinegar, and cook until most of the liquid is evaporated. Return the Brussels Sprouts to the pan along with the crispy bacon. Toss to combine it all together. The next time you’re looking for inspirational recipes as you eat on you overbed table while watching the real housewives of Illinois for a new vegetable to bring something to your dinner table, give these Brussels Sprouts a try. You may discover that you think they are delicious after all! Trim end of sprouts and pull off tough/loose outer leaves, leaving a tight leaf ball with a bit of core to hold it together. Cut into halves or quarters, depending on if the sprouts are small or large. Render bacon in pan. (Cut bacon into pieces, place in pan, and cook over medium heat until the fat has cooked out and the bacon is crispy and dark golden brown.) Remove crispy bits to a bowl and set aside. Turn the heat up to high and add the sprouts to the pan. Ideally, the cut side should be down - this will draw out the moisture in the sprouts and caramelize better. Leave them to cook for 2-3 minutes, then toss in the pan. Keep cooking, tossing occasionally, until they look well caramelized and become tender. (With larger sprouts, you might add a quarter cup of water to the hot pan to create some steam and help them get tender. Do this at the end.) Remove the sprouts from the pan to a bowl and set aside. If needed, add a tablespoon or two of oil back to the pan and sautée the minced shallots for a minute or two. Add 2-3 Tbsp of balsamic vinegar, and cook until most of the liquid is evaporated. Great, I’m being made redundant on our blog. (Kidding!) Since Christine cooked the Toasted Chickpeas with Cinnamon & Sugar herself, here are my notes on other ideas on making them. Chickpeas are a blank canvas. Finish sweet like these, or savory with herbs, pepper, and garlic. Or go nuts and cook them in rendered bacon fat and finish with crispy bacon bits, thyme, and lemon juice. Or, rendered bacon fat / crispy bacon bits / maple syrup. Really, anything goes. Have fun feeding someone! Be sure to read the recipe post on how Christine made the Toasted Chickpeas with Cinnamon & Sugar. When I cut gluten, wheat, bread and all of that from my diet and started doing 4 Hour Body, the one thing I missed was being able to have toast with cinnamon & sugar on it. It was one of my “comfort foods” when I had heartburn, which is ironic now that I know that wheat was a big source of my heartburn. No wonder it didn’t work, but it definitely tasted good to me at the time! One day I saw a recipe online somewhere that eventually inspired me to ask Mike if cinnamon & sugar on toasted chickpeas would work because it was one of the few cravings I was still dealing with – turns out it is delicious! Because I like savory mixed in with my sweet, we also add salt on them. Depending on who you talk to, chickpeas (garbanzo beans) are not Paleo-friendly. Since I eat them rarely and they do not upset my stomach, I have kept them in my diet. They are 4 Hour Body friendly. Posts on this blog are normally cooked by Mike and photographed by me, but Mike was out of town for work recently, leaving me to fend for myself. I hate to cook normally and will do almost everything to avoid it, but the light was perfect one afternoon so I whipped these up just so I could photograph them! Cooking with Mike has obviously rubbed off on me; before I prepped the garbanzo beans for cooking, I pulled everything out that I would need for making them. Rinse your garbanzo beans well, and allow them to drain while you start to melt the butter. I discovered while melting my butter that there is one down side to me being both the cook & the photographer. I stopped paying attention to my butter, and took it from melted to a little bit browned. Oops! It didn’t hurt anything though. I like to think it added to the flavor! I have made this in the past with olive oil instead of butter, and I prefer the flavor of butter more. I discovered that it splatters less, and with the chickpeas well drained they did not try to pop themselves out of the pan on me. I let the chickpeas cook until they reached the golden brown that I was looking for – not too burnt, but nice and crisp. Most of the butter was gone from the pan by the time I reached that point. I then placed the chickpeas in a bowl, and tossed them with cinnamon, sugar & salt to taste. I prefer to do this in a bowl and off of the heat so that the sugar does not burn in the pan in to little clumps of charred caramel. I made that mistake before, and it isn’t tasty! If you’re not a fan of cinnamon & sugar, you can also dress your toasted chickpeas up a variety of other ways. We have made them with garlic before, and I am sure there is a wide variety of flavors that you could come up with! Be sure to also read Mike’s Cook’s Notes on Toasted Chickpeas, where he shares why they are made this way, and different flavor options you can use. Rinse and drain one can of organic chickpeas (garbanzo beans). Melt 2 Tbsp of butter in a skillet over medium-high heat. Add chickpeas; toast until golden brown. Place chickpeas in a bowl, add cinnamon, sugar and salt to taste. Can try with other seasonings instead of cinnamon & sugar. We have also made these using fresh garlic, sautéed in the butter before adding the chickpeas. For today’s meal, we made our Vermilion Snapper Meunière with Leeks in Bacon Vinaigrette recipe. You can see the photographs of the process and the recipes for both dishes in that post. Meunière comes from the French word for “miller’s wife”, and generally refers to the technique of dredging something in flour, quickly frying it, and serving with a lemon, parsley, and butter sauce. It’s a classic preparation for fish, but it can equally be used for chicken, for example. With apologies to millers everywhere, cooking gluten free means I needed another starch for the fish. Corn starch was the first thing at hand. I didn’t want to smother the fish, so I used a tea strainer to sift corn starch over the fish. That worked well enough; if I had to do it again, I would probably just put corn starch on a plate, dredge the fish, and be extra careful about knocking off the excess. Preparation is key here. This cooks lightning quick from start to finish once the pan gets hot. You don’t need much – fish, butter, lemon, parsley, flour – but have it all laid out and ready to go. Chop the parsley. Cut the lemon in half. And so on. Don’t dredge the fish ahead of time (it’ll pull moisture out of the fish and get gummy), do that while the butter melts in the pan. Once the fish cooks, get the lemon juice in the pan quickly so the butter doesn’t burn. Bringing it to a boil and stirring helps emulsify the sauce. Basically, before the pan hits the heat, close your eyes and mentally walk through all the steps from start to finish. You don’t want to have to think about what to do next once this gets going. That’s part of why the warm leek salad makes a great side – once the leeks sweat and cook through, it can just hang out over a low flame and keep warm. You don’t want to have two dishes that are complicated to finish coming together at the same time – it works in a restaurant where there are multiple cooks working in concert. At home, cooking solo? Don’t make the task harder than it needs to be. Vinaigrette, in its essence, is 3 parts oil to 1 part vinegar, by volume. You can vary that depending on whether you want more bite or less, or whether your vinegar or oil is particularly pungent, but that’s the basics. Often, vinaigrettes are made with a very neutral oil to not mask the flavors of a dish. But, in this case, with the rendered and reserved bacon fat available – why not put it to good use? Lemon juice brings a sweeter, milder acid to the dressing instead of vinegar, and dijon mustard is a sympathetic sharp flavor. Play with this depending on what else you are serving; for pork chops, for example, throw in chopped rosemary, or with chicken, thyme and tarragon. To close, I can’t stress how beautiful this vermilion snapper fish was. Finding good local suppliers and getting to know them are the surest way to stunningly awesome food. In this case, I trust PJ Stoops to tell me about the fish he has on offer and tips for preparation. Christine mentioned in the post that she doesn’t like fish, and that’s a bit of an understatement. I was amazed that she enjoyed this as well as she did; while I would like to say it’s because of my culinary prowess, the quality of the fish really made the difference.